Although it is technically still the San Jose Mercury News, this major newspaper prefers to be called simply The Mercury News nowadays, as it really is the only relevant newspaper for all of Silicon Valley. And indeed they should, even as Silicon Valley starts to stretch closer and closer to San Francisco, and out into the South and East Bay areas as well. 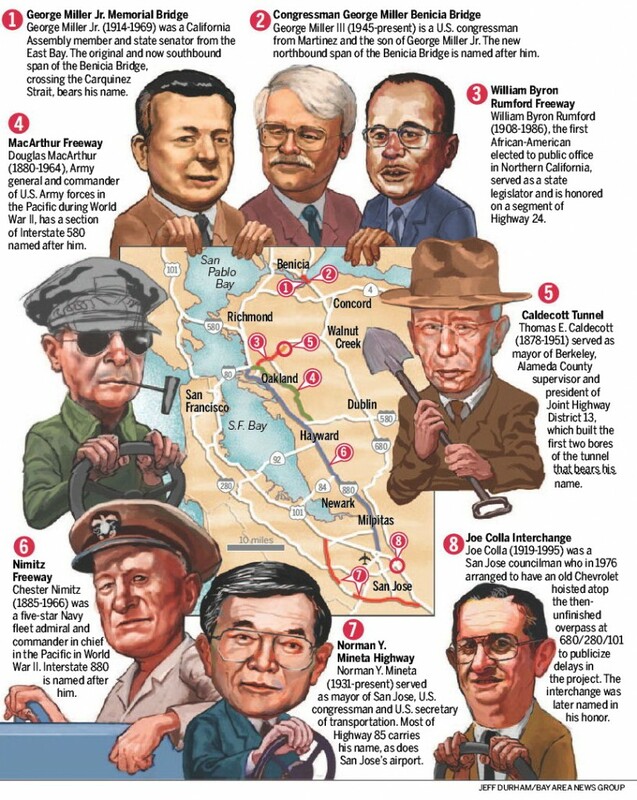 Even west into Santa Cruz and Monterey at least until they run into the Pacific Ocean. Notice how part of Highway 85 at the middle bottom has a section not highlighted. That section is called the Scott Greenly Freeway in honor of the CHP officer killed there while writing a ticket even though he was well off the roadway and behind a car. This Norm Mineta/85 Highway has an extensive writeup in Wikipedia, incidentally, in large part because it was the first freeway in California where voters chose to tax themselves to build a freeway.